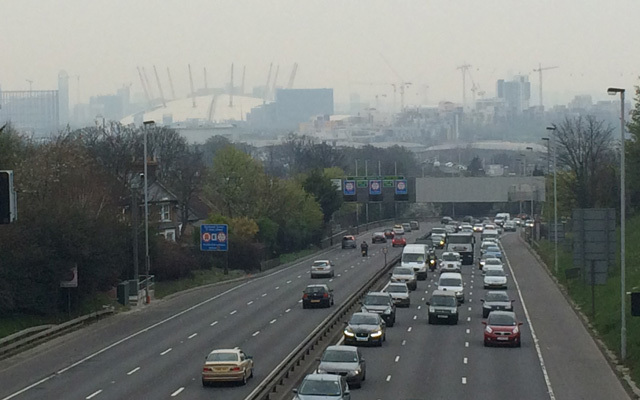 Welcome to the April update from the No to Silvertown Tunnel campaign. You can’t have failed to notice the recent grotty air in London. Dust from Saharan sand has made the problem of pollution all too visible, but it’s home made motor vehicle traffic that causes most of the problem. We’re calling on Transport for London as well as Newham and Greenwich Councils to ‘get the sand out of their eyes’ and accept that building new roads such as the Silvertown tunnel will only make this worse. We’ve submitted evidence to two official consultations. One was on amendments to the Mayor’s London Plan, which would swing planning policy in London behind building more new roads. The other was from the London Health Commission, on how transport impacts our health. Would you or your community group like to carry out your own study of air pollution in your area? Mapping for Change is offering funding to help four community groups to undertake air quality mapping projects, similar to the ones we have carried out. Applications need to be with them by 30 April. Did you know there are local elections coming up next month? If you get a candidate on your doorstep, or one of their helpers, ask them what they think of the Silvertown Tunnel. Are they going to fight it? Then please tell us what they said – info@silvertowntunnel.co.uk. Do you want to see more spaces for cycling in your neighbourhood? You can use the London Cycling Campaign’s #space4cycling campaign to ask your local councillors and candidates to help push for cycle safety – and why not add a message about the Silvertown Tunnel as well? Is there something else you’d like to know or would you like to be involved in any future volunteer projects that we run? You can drop us a line at info@silvertowntunnel.co.uk, or find us on Facebook or Twitter. This entry was posted in Uncategorized and tagged 2014, april, update on April 28, 2014 by Clare Griffiths.